Dr. Kimberly Kaye Sands-Kahn was born in Pasadena, Texas in 1980. She moved to florida with her parents at age 3. She was raised in Pompano Beach, Florida and graduated from Cardinal Gibbons High School in 1999 with academic recognition. She continued her education at Florida Atlantic University receiving her Bachelor of Science degree in Biological Sciences and Pre-med. 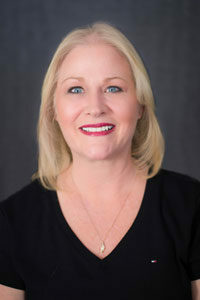 She returned to Texas where she completed an acupuncture certification program from Parker College and a Doctorate in Chiropractic from Texas Chiropractic College. 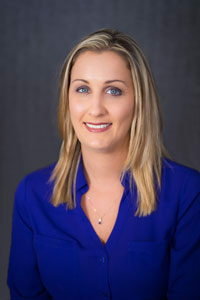 Dr. Sands-Kahn joined the practice in June 2008 as a third generation Chiropractor in her family. Her grandfather started the practice in 1954, and her father joined the practice in 1984. Dr. Sands-Kahn decided to incorporate a weight loss program into the practice, in order to help individuals reach their weight loss goal and educate them to maintain their results. She feels that teaching individuals how to properly nourish their bodies will lead them to healthier and happier lives. Dr. Sands-Kahn is excited to continue on her natural health path through both chiropractic and weight loss. Dr. Sands-Kahn is certified by the National Board of Chiropractic examiners for acupuncture. She is a member of the American Chiropractic Association, Florida Chiropractic Association and the Florida Chiropractic Society. Dr. Sands-Kahn enjoys living in beautiful south Florida with her family. Her hobbies include horseback riding, boating, diving and spending time with her family and pets. Ms. Andrea Wrzosek was born in West Springfield, Massachusetts in 1978. She moved to south Florida area with her parents at age 13. Andrea graduated from Cardnial Gibbons High School in 1997. After graduating, She attended the Florida School of Natural Health. 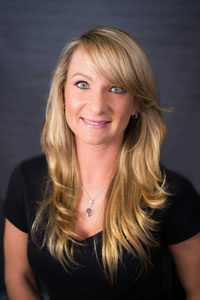 She joined our practice in 2005 working as chiropractic assistant. She now helps run our weight loss program as a enthusiastic and motivational coach. Andrea enjoys horseback riding, boating, and spending time with her friends, family and pets. Mrs. Karen Sands was born in West Palm Beach, Florida in 1967. Karen graduated from Coral Springs High School in 1985. She attended Broward College. She has been our Chiropractic office manager since 1990 and recently started managing our weight loss center as well. Karen also fills in as a coach when needed. Karen enjoys bike riding and spending time with her husband and son. Ideal Weight Loss of Pompano Beach is Authorized to Use the Ideal Protein Weight Loss Protocol and Products. The testimonials on this website are those of the individual that is identified, you should not necessarily expect to receive these results. Typical results vary from person to person and individual to individual when the Ideal Protein Weight Loss Protocol is followed properly. You should consult your physician or other health care professional before starting this or any other diet program to determine if it is right for your needs.